Color and style I need. Promotional code saved me 25%. I liked the fact that the seat cover would wrap around the bar stool without any ties. 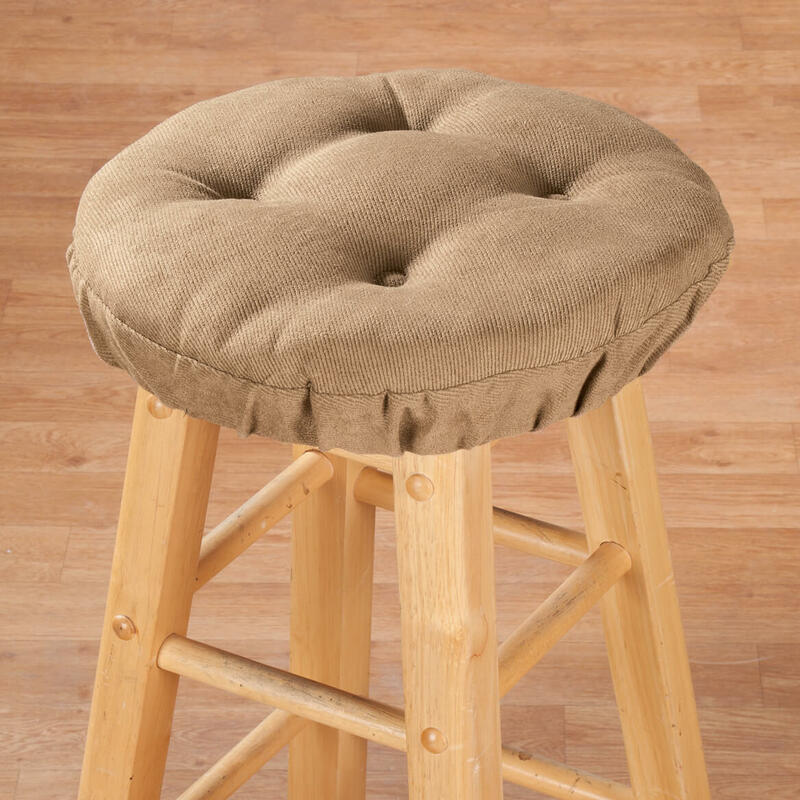 This is an attractive and comfortable top for a plain unattractive wood bar stool. You had the right color. 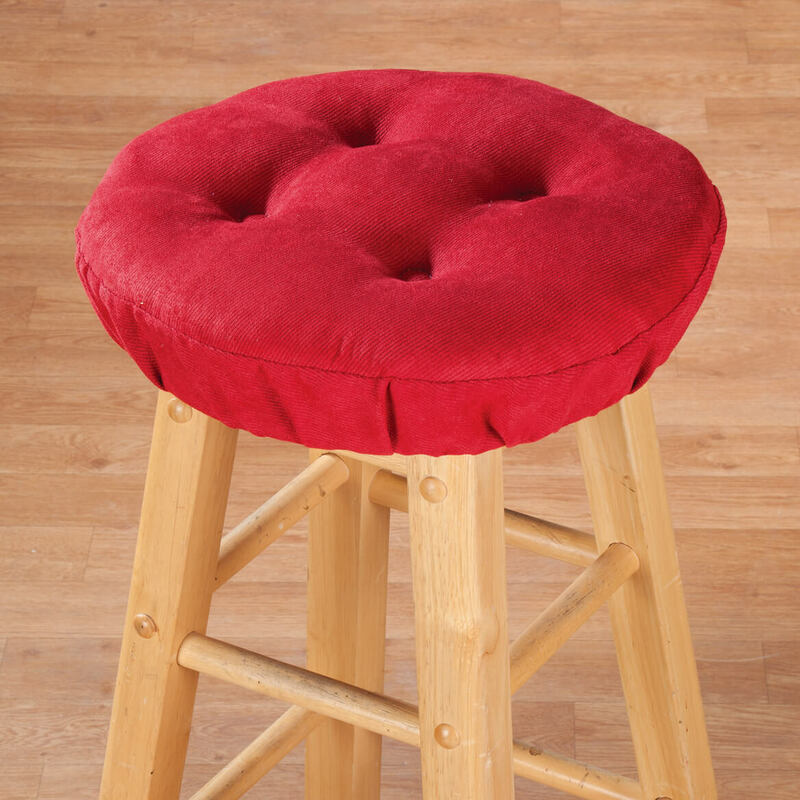 Ordered in Red - have been looking for cushions to fit my stools. I must sit on a hard stool at my bathroom sink. This will make it comfortable. It was exactly what I was looking for. The stores do not carry them any more. Can't stand in the kitchen the way I used to. This will make sitting on by dierrier more comfortable. Like the stool over very much, I have it in the kitchen, so nice to sit on while waiting for things to cook and be able to watch them. I just got 2 24'' stools, one for my kitchen and one for my bathroom. My dÃ©cor is dark brown so I choose dark brown cushions. They are needed to make the sitting part softer. 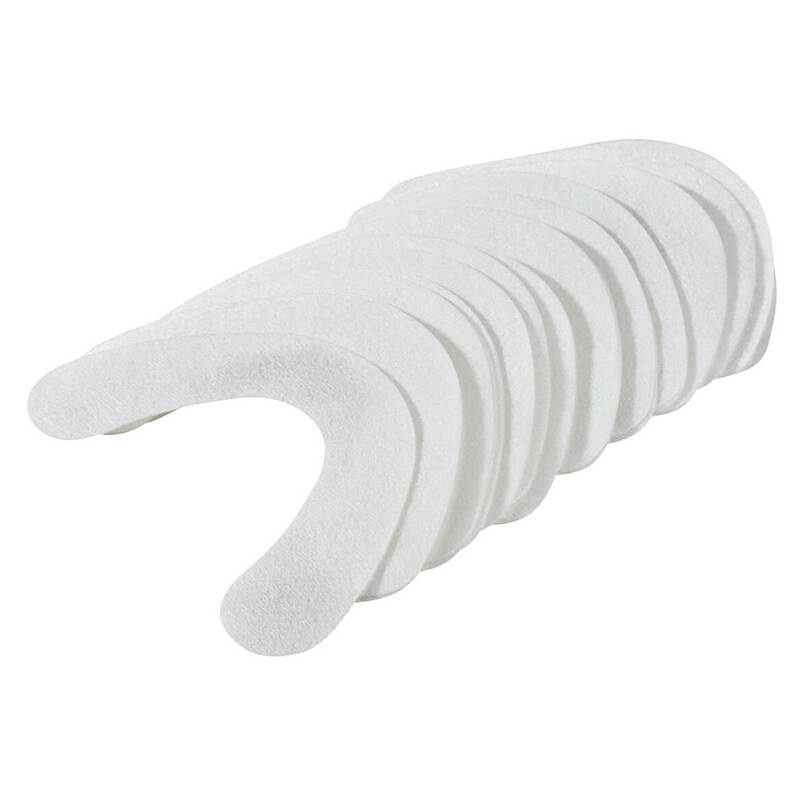 Choice based on stain guard and customer reviews. I have had these cushions in the past and they are great. We have them from a previous purchase in brown. We liked very much and have 3 new stools to use these on. Color and price were good. Had not been able to find something similar for the price. Hope they fit. Only place I could locate this item. Looks like it will my needs perfectly! Cloth, not leather. Hard to find. 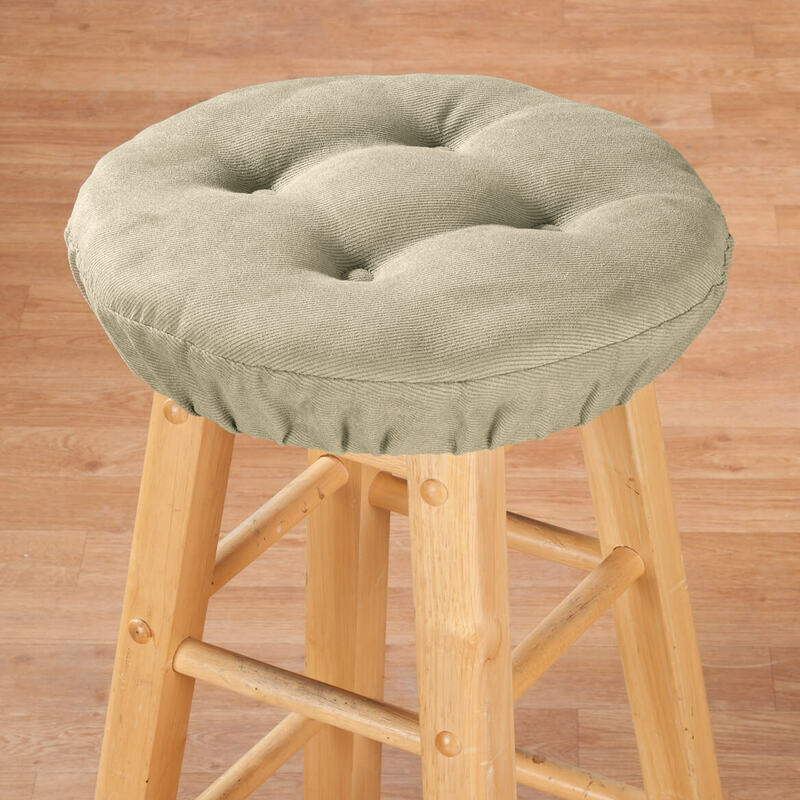 I need a stool cushion. Reviews said it stays on the stool. Sounds good to me. We need cushions for our bar stools. Have a bar stool I wanted to try these on. Liked the style, color and fit. Just what I was looking for. Wanted it to cover my stool that was aging. I have an very old stool and needed a new seat. I'm not that handy so I saw this and it fits perfect. They are to replace existing covers I had purchased 10 years ago. what is the thickness/depth of the cushion and is it foam-filled? BEST ANSWER: I use it as a cover for a vanity stool. 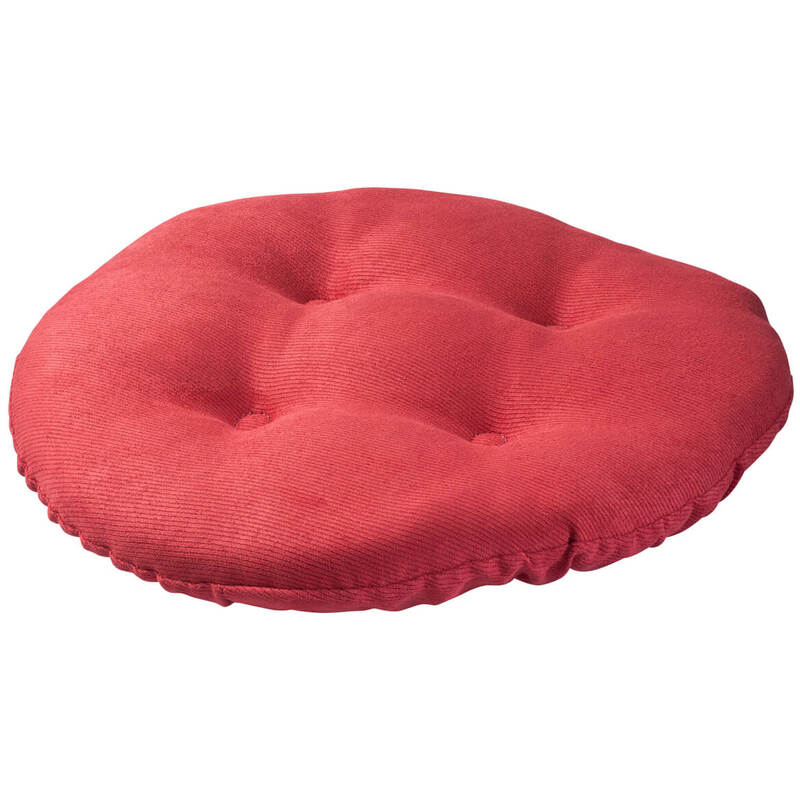 The vanity stool itself has a small amount of cushion on it, and this cushion easily fits over it. The elastic portion is about 2-3 inches and stretches easily. The cushioned part of it is also probably about 2 inches. I have gone through a few different cushions over the years, but this one seems to be holding up better than others I have purchased in the past. These cushions are about 2" thick, and I am not absolutely sure of the filling but it could be like a fiber fill. I do know that they offer excellent comfort, and stay in place because of the rubber backing and the elasticized bottom. 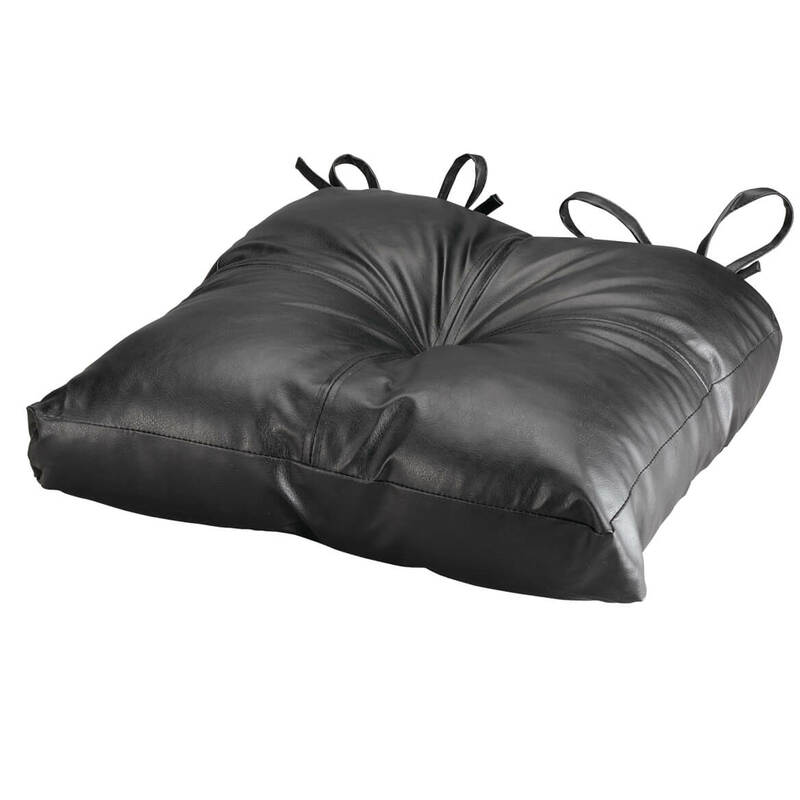 The foam in the cushion is at least one inch thick, the cushion has elastic on the underside and can stretch 3 to 4 inches over the cushion you are covering. 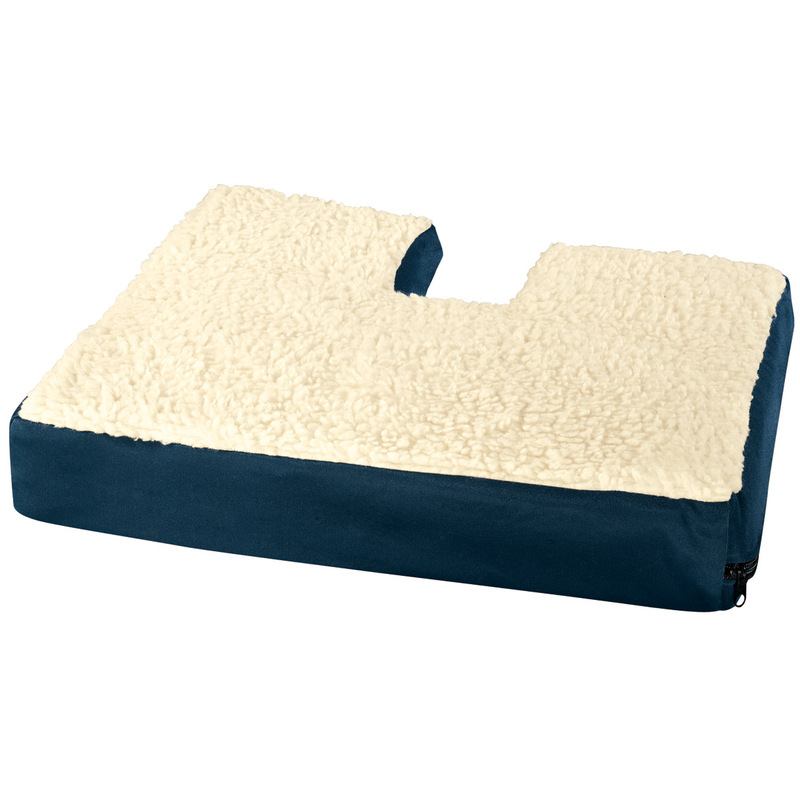 The cushion is about 2 inches thick and is foam-filled. It is very comfortable. 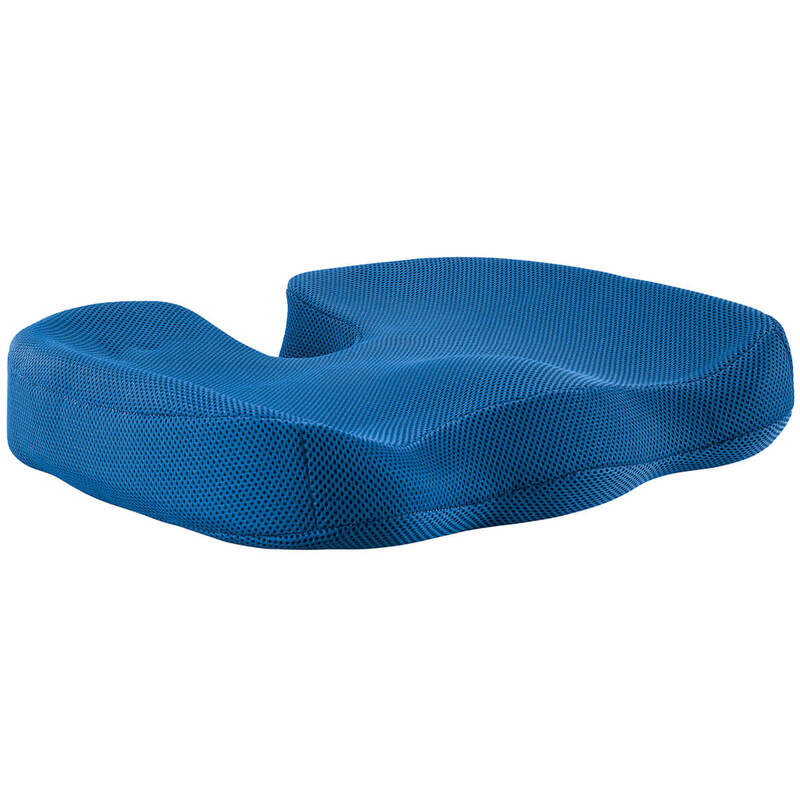 The cushion is 2" deep and is foam-filled. Will these fit over a cushioned barstool? I have Barstools that are already cushioned but 1 of them is in terrible condition, so I want to just gets covers for all 4. BEST ANSWER: Thank you for your question. 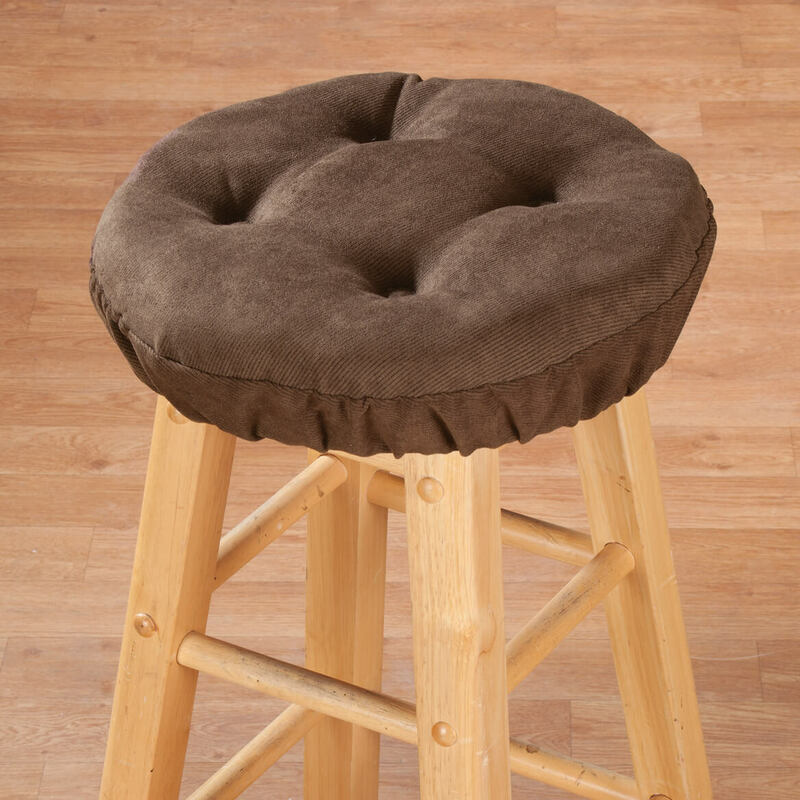 This cushion is designed to fit a bar stool 2" thick or less. 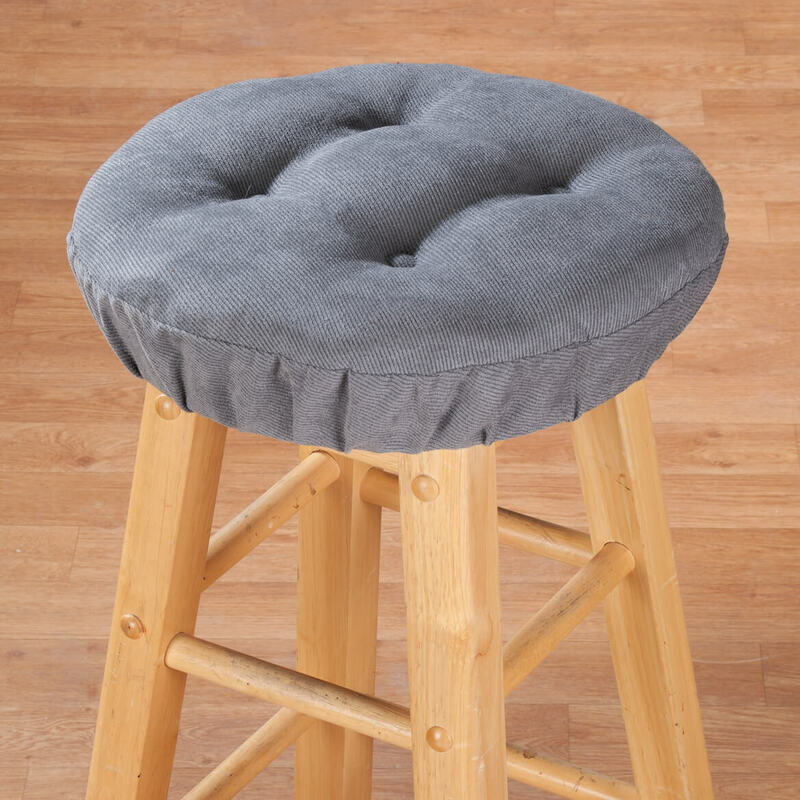 If your cushioned bar stools are more than 2" thick, this cushion will not work for you. We hope this information will be of help to you. BEST ANSWER: The tag says " for best results spot clean only". I think this could be washed by hand and air dried, but I would definitely not put it in a washing machine. The cushioning is very thick. Mine only gets occasional use so I have not had to think about cleaning it yet. I have not washed it but I wouldn't was the cover I have as it can just be wiped off. And I like it very much for that reason. I would suggest spot clean only. If you wash it, the elastic stretches and it wont stay on the bar stool. I really haven't had them long enough for them to get dirty but the instructions say "Spot clean only". Do they have foam backing? BEST ANSWER: Thank you for your question. No foam, it is stuffed with polyester. We hope this information will be of help to you. It is foam filled. 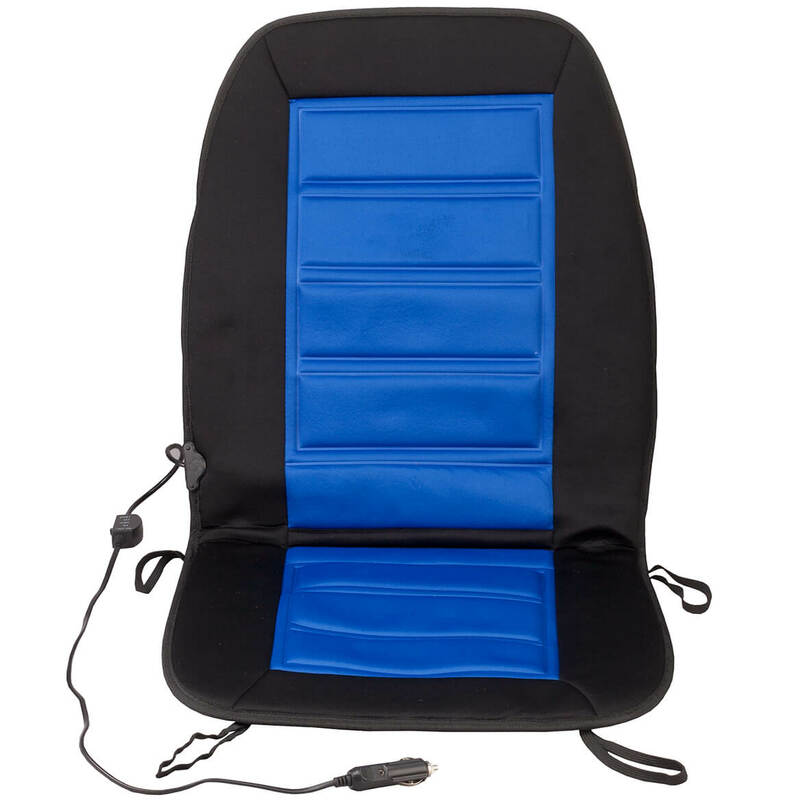 The padding is nice and thick, very comfortable. Will they ever offer dark green stool cushions? BEST ANSWER: Thank you for your question. At this time the only colors are the ones listed. We hope this information will be of help to you. do these cushions slip over and under the round wood seat, or do the just sit on top of the wood seat? BEST ANSWER: Thank you for your question. They slip around the seat with elastic. We hope this information will be of help to you. Beige isn.t coming up in the selection to choose? BEST ANSWER: Thank you for your question. Unfortunately the beige is no longer available. We hope this information will be of help to you. need 15 inch diameter attached to the stool ?????? BEST ANSWER: Thank you for your question. Unfortunately we do not carry a stool cushion in that size. We hope this information will be of help to you.